Comment: Water leaks from the roof into the building. According to one person who inspected the two chimneys on the roof, there is cracking in the chimneys that needs to be repaired. We are looking to get this done before the summer if possible. 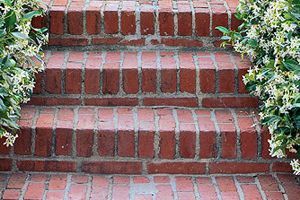 Comment: We need repairs to an existing entry stairway, in which weakened mortar is giving out, making stairs dangerous for public's use. Comment: Add bluestone or brick patio. Middlebury Brick & Stone Masonry Contractors are rated 4.85 out of 5 based on 28 reviews of 5 pros. Not Looking for Brick & Stone Contractors in Middlebury, VT?